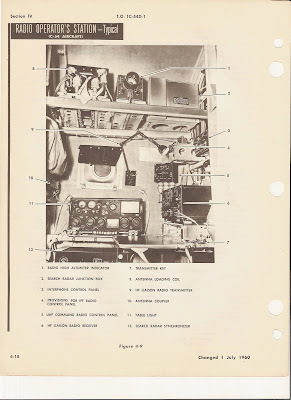 In today’s blog let’s take a look at one of the most important crew positions in a long haul flight, the long gone, very rarely looked at, Radio Operator. On most airlines the pecking order of command on long haul over the water type operations fell in this order of command. As is the tradition the Captain (Flight Officer Type) is in complete charge of the airplane and crew during the flight. He makes all the command decisions, and all crew members obey his orders. Now actually all decisions are usually based upon recommendations from other pertinent crew members. 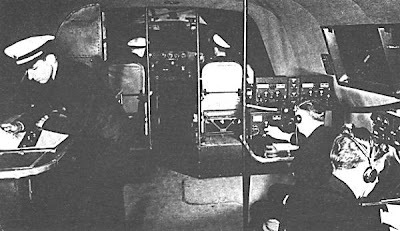 The Flight Radio Officer would conduct the majority of the communications between the plane and ground via CW (Morse Code) with a key or via voice communications over HF Frequencies or later VHF. The Radio Officer was responsible for the tuning and proper operation of all the airborne radio equipment. A lot of the over land communications was done by the pilot, but on occasion the Radio Officer took over and did the communications between airport towers, usually limited to periods immediately prior to and during takeoffs and landings. All tower operations were conducted by radio telephone, seldom over distances over 20 miles. As stated the pilot usually did this communicating so that the necessary information and instructions can be changed without any delay aboard the aircraft. During the flight, messages are exchanged with ground stations. 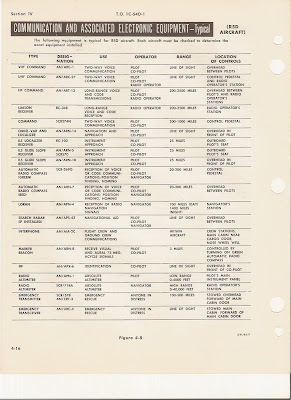 When these stations are specifically for two way communications with other planes, during the early years 30’s thru the 50’s CW was employed for the longer distances and was handled by the Flight Radio Officer. Why the Radio Officer was so important on a flight falls in this direction. All the position reports, weather, messages from the pilot were handled by the Radio Officer. All weather, bearings, POR reports that came from the navigator were handled by the Radio Officer. 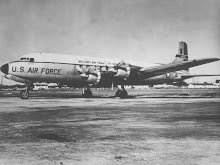 The Radio Officer in turn transmitted all reports or messages to other planes, Communication stations, weather reports to ocean stations, received and coordinated with Direction Finding stations the position of the aircraft. The Aircraft Required Equipment: This will vary with the Airline. 2. Aircraft communications transmitter, A1, A2, A3 emission, medium-frequency and high-frequency, with external loading unit. 3. Aircraft communications receiver covering bands approximately 200 kc/s to 18 mc/s. 4. Aircraft VHF communications transceiver. 5.Automatic direction-finder with manual rotation control. 7. Jack boxes, microphones, headphones, range filter, appropriate power supplies. During a flight the Captain would approve each message before transmission by the Radio Officer. When flying on domestic airways, the pilot usually originates position reports. At other times, the reports could also originate from the Navigator, who is actually setting the course. 1. Attend briefing and preflight discussion. 2. Collect necessary codes (if applicable,) papers, and equipment. 4. Establish communication with control station. 6. Maintain watch on control frequency. 7. Send periodical position reports to operations via CW. 8. Make all necessary airways VOICE contacts. 9. Obtain loop bearings and fixes, plot fixes. 10. Obtain weather reports, decode and pass to pilot. 11. Home on "broadcast" station or determine overhead or close abeams. 12. Listen in to pilot using radio approach and landing aids. 13. Complete a radio log. At the conclusion of a flight the Radio Officer is expected to sign the planes log book and to record all information regarding malfunctioning of the radio equipment. Also he is responsible for making any minor repairs on his radio equipment. NEVER ACKNOWLEDGE RECEIPT OF ANYTHING UNLESS YOU ARE CERTAIN YOU HAVE IT CORRECTLY. ALWAYS USE YOUR BEST JUDGEMENT. (a) Communications equipment. HF and MF communications transmitters and receivers; VHF communications units. (b) Radio navigation equipment. Range receiver and filter, ADF and MDF; marker beacon receiver; omni-range receiver; ILS receivers and indicator; LORAN; radio altimeter. (c) Other equipment. Intercom; audio control boxes; isolation amplifier; life raft radio; aircraft antennas; radio control panels; flux gate compass. (a) Generators. Principles of operation; method of mounting and driving; rated output; connection to main bus; carbon-pile voltage regulators; differential-voltage reverse- current relays; field circuit breakers; equalizers; field switches; procedure in event of generator failure. (b) Batteries. Location; ampere-hour capacity; connection in system; utilization of outside power on ground. (c) General. Type of wiring (single or two-wire) in electrical system; use of a. c. on aircraft; means of obtaining a. c.; fuses, precaution in changing fuses; circuit breakers; bonding and shielding. (a) Communications. Agencies furnishing ground-to-air communications in United States; outside United States. (b) Radio range stations. Four-course aural; VOR; VAR; MOR. (c) Radio beacons. Class "H" facilities; marine radio beacons; fan marker beacons; "Z" marker beacons; bone-shaped marker beacons..
(d) Other radio aids to navigation. Ground D/F; broadcast stations; ocean station vessels (OSV's); Consol. (a) Aircraft D/F procedures. Relative bearings; magnetic bearings; true bearings; homing; abeams; orientation; distance-off; overheads. (b) Errors and corrections in radio direction finding. Coastline effect; terrain error; night effect; Mercator correction; turning and banking errors; quadrantal error. (c) Radio navigation charts. 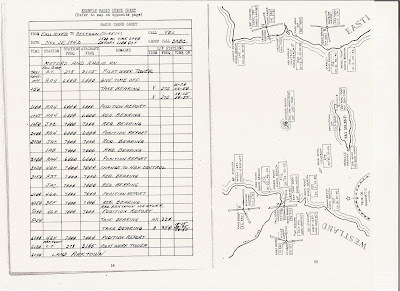 Description of charts used in long-range operations; plotting radio bearings. (d) Radio letdowns. Range; QDM; ILS; GCA. (e) LORAN. Basic theory; operation aboard aircraft. (a) Preflight inspection and radio check. Action in the event of radio failure. (b) Communications facilities provided and nature of service given to aircraft. (c) Position reporting, calling, acknowledgment, departure and arrival radio procedure. (d) Suitable frequencies for DAY and NIGHT long-distance flights, changing radio guard. 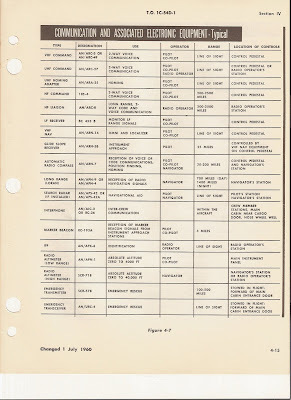 (e) ICAO air-to-ground radio procedures-routine and emergency-radiotelegraph and radiotelephone. 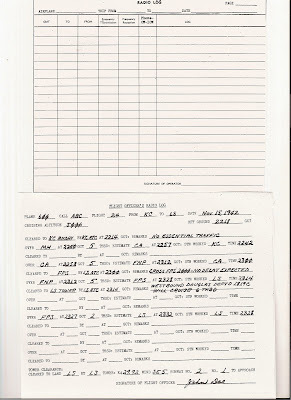 (f) Conditions justifying transmission of distress, urgency, and safety signals; procedure during distress traffic; radio communications during ditchings and forced landings; cancellation of aircraft distress and emergency traffic; use of liferaft radio. (g) ICAO "Q" Code,1 abbreviations and complementary code. QAB through QAZ, QBA, QBC, (used with QMI, QFT, QBJ, QMZ, and QTH). QBF, QBG, QBH, QBI, QBS, QBV, QBX, QCB, QCE, QDL, QDM, QDR, QDT, QDX, QFE, QFG, QFH, QFM, QFS, QGE, QGJ, QGQ, QGZ, QHH, QID, QLH, QMH, QMZ, QNI, QNT, QRD, QUG, QUO, QUR, QUS, QUU, QUV, QUX. (h) Communications in air traffic control; air traffic control standards and procedures; oceanic air traffic control (OATC); communication in GCA work. (k) Search and Rescue procedure; ocean station vessels (OSV's).
) Flight training. A minimum of 25 hours of flight training will be required on a multiengine aircraft incorporating a built-in flight radio operator station. This training may be conducted on flights which are engaged in other than training operations, including scheduled air carrier or other operations where passengers or cargo are carried for hire. All flight training, however, must be given under the direct supervision of a certificated flight radio operator. Approximately 50 percent of the flight training should be devoted to practical radio navigation. The remainder should be allotted to CW and VOICE communications. A nice job, when flying was interesting!